Garment Measurements in Inches followed by Cms in brackets. Please use these measurements to compare with an outfit your child is currently wearing and not the measurements of the child. Sizes can vary slightly per garment. If you are unsure which size to order you can request other measurements in the memo box during checkout. Should you use ages or measurements when ordering? Most manufacturers use ages in their size labels. All children vary and each manufacturer has a different idea of what size should fit an average child of that age. This means that every age given is only approximate. We recommend that you compare the measurements in the chart with the measurements of a garment your child is currently wearing and not the measurements of your child as this gives a direct comparison of fit. The chest measurement is always the circumference and is usually the most important measurement. 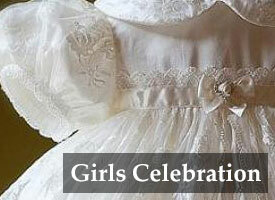 Christening gowns / robes are meant to be longer than the baby so the length given is only for information. The measurements shown in each chart are the actual garment measurements we have taken in the shop. 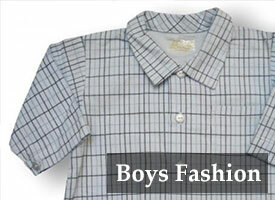 Sizes can vary slightly on each garment. The ages given on this site are taken from the garment labels. Usually the age given is for an age 'from' that size to fit up to the next size. We will always try our best to help you. 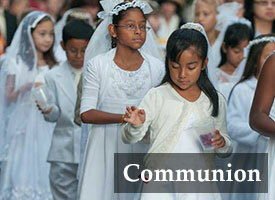 Email is our preferred method of contact as we receive these even when we are not at the shop. 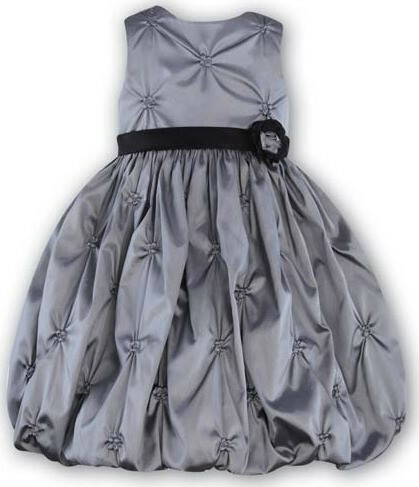 Sarah Louise 7209 Stunning, pewter silver ballerina length dress with a puffball hem in dull sheen satin which has been pintucked to give fullness and a ruche design. The dress has a black ribbon sash decorated with an offset flower and a bow at the back. 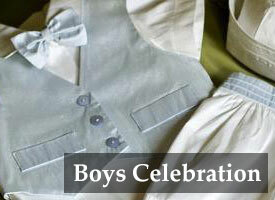 Perfect for parties and those special occasions.